In 1983 Humberto Barbosa started his professional activity. The programmes he implemented in his clinics over all these years are transmitted to clients who visit him from everywhere in the world, by the nutritionist team he coordinates. Humberto Barbosa’s journey is an example of success and determination. Born in Funchal, Madeira, soon he met people whose advanced age and carefree way of life inspired him. Intrigued why some lived so long, while others died before attaining 60 years of age, he noticed that those cases of longevity occurred more among who lived in the country, fed themselves from the products of their plantation and walked a lot to sell their production in the city. The formula for longevity was naturally discovered, it would implicate a daily healthy nourishment, regular physical exercise and absence of long-lasting stress, and the route for his life and professional pathway was outlined. Faithful to his principles, at the age of 18 Humberto Barbosa goes to England to complete his studies and obtains at the end a Doctorate in Nutritional Sciences from the International College of Natural Health Sciences in London. He assisted class in the morning, studied and worked in the afternoon and by night. During that period, he often renounced holidays to research the field of his studying. Instead of coming to Portugal, he rather visited other countries and offered himself to work for free in clinics related to his formation area. This option allowed him to collect various elements and to acknowledge methods that he clearly identified with the professional career he had chosen. On June 8th 1983, he was awarded the Gold Medal by the Accademia Delle Scienze di Roma for Psycho-Biophysical Sciences. Humberto Barbosa apprehended new forms of managing nutrition and aesthetics travelling around Europe and the United States, countries where to those sciences a larger importance and better learning was given. Returning for good to Portugal, he launched an innovative project and started in 1992 an exclusive concept of beauty and well-being that rapidly spread around the whole country. 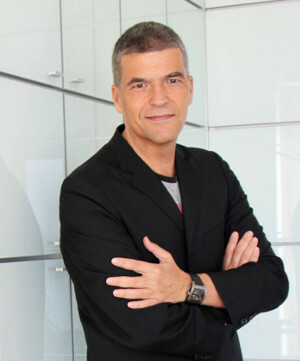 In 2008, on completing his 25th career-year, with the creation of Clínica do Tempo® Humberto Barbosa sets for a new cycle of rejuvenation and balance to achieve longevity, with clinical solutions much more evolved, which technical and scientific complexity he may now apply in this new concept of his own. The attributes, philosophies and special gifts which preside to the success of the initiatives and characterize Humberto Barbosa’s career profile, can be defined by assertiveness, self-motivation and leadership capacity, as well as by a convenient advantage of opportunities, a permanent actualization of knowledge and by the exigency of quality and excellence in every single enterprise.